“That seems expensive,” I said. “I should research the numbers.” So, like a good money nerd, that's exactly what I did. First, I checked the HelloFresh website to find out how much the service costs. There are three plans — Veggie, Classic, and Family — each with similar costs. Veggie Plan: three recipes per week at $9.99 per serving. Classic Plan: your choice of two, three, or four recipes per week at $9.99 per serving. If you choose the four-person plan, your only option is three recipes per week. If you choose two recipes per week on the two person plan, there's a $7.99 delivery charge. 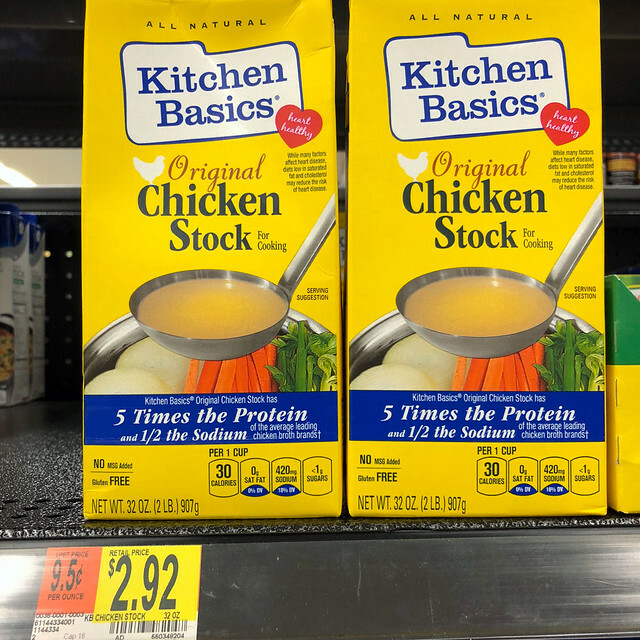 Family Plan: two or three recipes per week at $8.74 per serving. In other words, HelloFresh costs between $9 and $10 per person per meal. That's much cheaper than eating in a restaurant, obviously, but it's more expensive than normal home dining. Or is it? I decided to dig deeper into the numbers. During the first four months of 2018, I spent an average of $477.33 per month on groceries and $332.01 per month on restaurants. That’s a total of $809.34 per month on food. Given 90 meals in a typical month, my food spending averages $8.99 per meal. Holy cats! That's right: My average monthly food spending is almost the same as the cost of subscribing to HelloFresh. From this perspective, a meal delivery service seems like a good deal. Armed with the Sweet-as-Honey Chicken recipe card, I made a trip to the local Wal-Mart. I browsed the aisles, pricing out the individual ingredients. From my calculations, it'd cost me $6.10 to purchase the ingredients needed for the meal. (This counts only the quantities I'd need for that specific meal, not the extra garlic, rice, chicken, etcetera that I'd end up with.) That's a total of $3.05 per person per meal versus $9.99 per person per meal. From this perspective, HelloFresh isn't such a good deal. If I were a subscriber, this meal would have cost me more than three times what I could pay for the ingredients at Wal-Mart. It's easy to track calories. Each shipment includes detailed nutrition info, just like you'd find on pre-packaged food in the store. The three recipes we tried were all delicious. That said, all of the HelloFresh recipes are available for free on their website. The meals were relatively easy to make. There were a couple of times I thought things were unclear, but as I mentioned earlier, I'm a little slow in the kitchen. Making these meals is a great way to learn new cooking skills. After making the chicken glaze, for example, I feel like I could create other similar glazes. In fact, I only have good things to say about the entire HelloFresh experience with one obvious exception: the price. I don't feel like the HelloFresh prices are outrageous by any means. They're just not frugal. So, I can't see recommending a meal delivery service to a family on a budget or to somebody who already does a lot of cooking and knows how to co-ordinate meal plans. On the other hand, HelloFresh could be a terrific option for people who might otherwise spend a lot on food. As for us? At this point, we don't plan to become regular HelloFresh subscribers…but we haven't ruled it out either. Although I'm slow and unsure as a chef, I enjoy cooking. Instead of using HelloFresh, I think I'm going to make an effort to prepare more meals at home during the coming months, meals that are not from a can. If that doesn't work out? And if my $8.99 spending per meal doesn't drop? Well, then HelloFresh is an excellent option. Another option for somebody interested in a service like HelloFresh but not willing to pay the price? Check out $5 Meal Plan from my buddies Erin and Jim. Their service doesn't ship you the ingredients, but it gives you meal plans and recipes that work out to about $2 per person per meal. 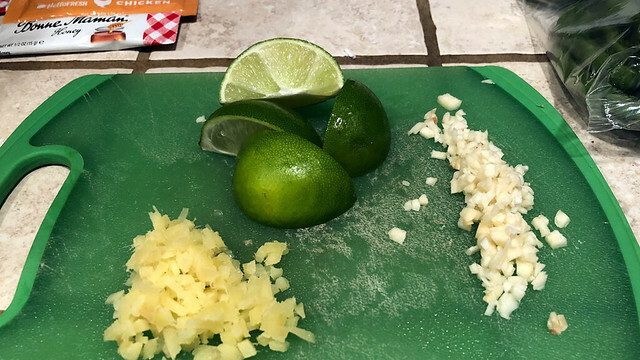 There are 59 reader responses to "HelloFresh review: Is a meal delivery service worth it?". 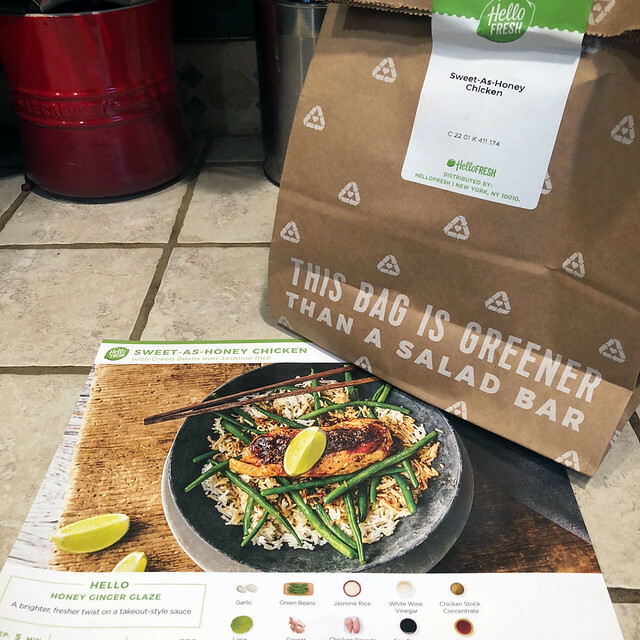 I tried HelloFresh about a year ago, and had the same thought about price — less than eating out of course, but not worth it for me at the time. 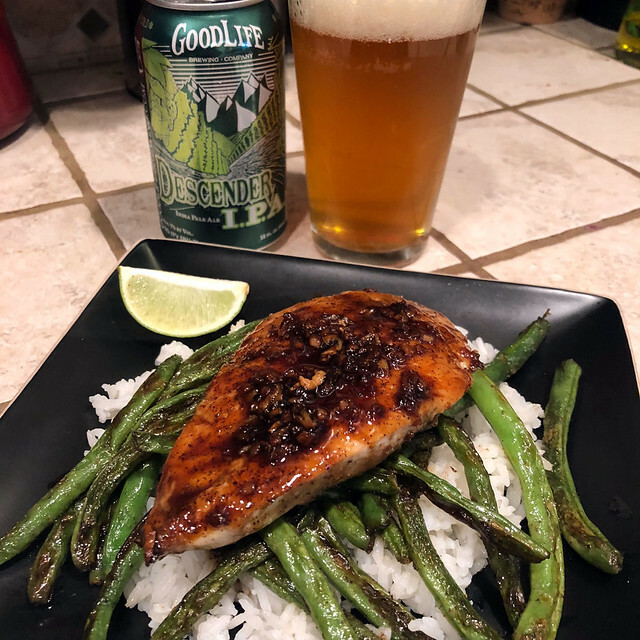 I was grocery shopping once a week, had the time & energy to make dinner (thus ensuring leftovers for myself for lunch the next day), and was spending the equivalent of 6 HelloFresh meals on an entire week’s worth of food. And then this spring I got a new job with longer hours and more traveling. I found myself eating out at night or making something from the freezer, and then I’d be without lunch the next day so I’d go out again. It was expensive AND unhealthy, so I turned to HelloFresh to get me back on track. I’ve been doing it for a month now & it’s really helped me ease into a new role without spending a lot of time figuring out what to buy/cook/eat every day. It’s not a permanent solution, but it’s working for now! I think meal plans like Hello Fresh are a good idea if you do not have the time to shop or the mental energy for extensive food planning/prep after a long day and as a result find yourself eating out or eating heavily processed “box dinners” several times a week as a result. 1) You really do need to sit down and to the “time is money” math to see if this (or a similar service) is right for you. If it does get you to eat more variety and less processed food, then it may well be worth it. 3) If you live in a neighborhood where people will steal items left unattended at a door, this is also not a good idea. JD, you might want to check out the Budget Bytes website, if you haven’t already. Beth’s recipes are easy and yummy and she focuses on good, nutritious food that isn’t outrageously expensive. For example, a few years ago, she spent the month of September doing a SNAP challenge, in which she tried to stay within the SNAP budget. What Tina in NJ says: The Budget Bytes website is full of great, easy-to-cook recipes. This morning I made her red enchilada sauce (which takes less than 10 minutes, start to finish) and will freeze half, then use the other half on a chicken, black bean, rice and enchilada casserole. And re the SNAP challenge, I’d like to share this resource: Food scholar Leanne Brown created “Good and Cheap,” a cookbook based on the SNAP budget of $4 per day. She has generously made it available as a free PDF download (http://www.leannebrown.com/). Oh, and if you have leftover chicken broth just freeze it until you need it. My wife and I have been having a lot of luck with recipes from the book Dinner by Melissa Clark. Grab a copy from the library to see if it resonates with your tastes. The harissa chicken with potatoes and leeks is super good and easy to make. Agreed. Melissa Clark is one of our go-to chefs for recipes. Everything she cooks is terrific. Many of her recipes are available online for free (if you are a Times subscriber, oh, so maybe not always free…). We’ve never tried these delivery services, but J.D.’s post is the most clear-eyed discussion of their pros and cons that I’ve read anywhere. Our money-saving eating strategy? The garden. The kales, lettuces, arugula, bok choy, collards have been feeding us for a month already; if we don’t eat a big salad every night, we’ll be overrun! And the tomatoes will be in soon…. When I began paying off student loans aggressively, a combination of recipes from the Budget Bytes blog and the meal planning app Paprika (check The Simple Dollar for a great Paprika how to) got me grocery shopping with a list, cooking with more confidence and spending less on food. They all have their advantages and disadvantages with respect to what they offer. That said, I must say that for anyone living in a major metro area like Seattle, San Francisco, LA, DC, NYC or Boston, these services on part tend to work out either the same or cheaper than grocery shopping. Here is why, in my view. Owning a vehicle and driving it to a store in all those metros is very expensive, if you actually live in the city itself and not a suburb. Case in point, a parking spot in SF or Boston runs anywhere from $400 – $600/month (and unless you want your car vandalized regularly, having a secured spot is a must have, at least in SF). Of course, you could have the ingredients delivered via services like InstaCart or now AmazonFresh / Prime, but you have somewhat less control in that case. A lot of people also can’t walk home from the store with a few bags, so there is Uber or Lyft that you may need to use. At any rate, we found that localized meal kit services, like GoodEggs in the SF Bay area are the perfect intermediate solution. They allow you to customize your meals, accommodate odd-size families (we are two adults and one child [that eats like an adult…], so most of the 2 or 4 people offerings don’t work for us), allow for the adding of other groceries, and they source everything locally. I think it’s a pretty good option, especially in big metros, but everyone has to decide for themselves, obviously. All of these issues make meal kits a nonstarter for me. I should say that HelloFresh cuts down on FOOD waste, not overall waste. If packaging waste is a concern for you, then yeah — you wouldn’t be happy with this service. Yep. Someone gave us a gift trial of Hello Fresh and there really is a lot of packaging material. That would be my only complaint, though. One of the meals was ‘pretty good’ and the other two were really excellent. The instructions are very easy to follow and their estimates of prep and cooking time seem pretty accurate. I agree on the packaging waste! I think there are better options for reusable containers (check out LunchOwl – not a dinner service), but they really reuse containers. I thought most meals were good. Quite frankly the prep work takes the most time for me (measuring, cutting, dicing, etc.) and since everything was in the size you need it and sometimes cut already, no left overs. Yeah, the food waste. I just checked out a few recipes from Budget Bytes and Dinner: A Love Story. While they look like things I’d make & eat, I see a lot of ingredients that would sit in the refrigerator for the 5 years between lengthy power outages (then I’d wonder why I bought it as I’m tossing into garbage). Example: Sriracha. I subscribed to a menu service for a while and this is what would happen. Too many ingredients that I only need 1 teaspoon of, not 16 oz. So 16oz minus 1 teaspoon ends up wasted. JD, a few years ago, I wanted to make an effort to cook more at home, but not cook the same 4 (lame-ish) things. My job is hellacious in January and the temptation is to “reward” myself with not having to cook. The decision of “what to cook” at the end of the day was more annoying than the actual cooking. Plus it adds up to cost and crappy food because I bailed out of cooking in previous Januarys. Anyway, what I did, was make a list of everything I knew how to cook. Then I added a few things I wanted to try (from a cookbook or website or whatever). I listed them in categories (beef, chicken, Pasta, Fish, Veg, etc) so I could pluck something from each category each week for variety. Then I made a plan for the week, each week. It worked surprisingly well. I kept the lists and STILL refer to them when I get in a “rut”. Now each week I write down 5 things I will cook for the week, then I check my pantry/freezer for things I already have and then create my shopping list for the rest. I typically use a “good” (ymmv) frozen pizza + a nice salad as my “get out of jail free” card if I don’t want to cook whatever I’ve planned. Hope you’ll add this to the periodic check-in topics. I have the same problem. I find that taking a couple minutes at lunch to decide what I want to make for dinner goes much smoothly than not thinking about it until the end of the day. Of course weekly planning is best, but often I will switch what to cook on what days depending on the weather (e.g. not grilling in the rain or baking if it’s 95 degrees) or what kind of day I’m having. Right — same here. I list 5 things (typically Sun-Thu) but aside from if something is frozen that I need, I will switch up at will. We’re actually trying to limit our dining out this month (we’ve had a reduction in expenses now that our kid graduated from college) and we’re trying to find our “high water mark” on what we can save each month and then make some savings goals/plans going forward. Anyway — I still don’t plan out Fri/Sat dinners, but we now end up just swinging by the grocery store to pick out what we’re in the mood for. We used to also be out “eat breakfast out” most Sat and Sun as we normally get up and walk the dog and get right into projects or errands and then end up famished at around 11am. Now we’ve been in the habit of cooking a big breakfast on Sundays instead. We’re slowing changing our norms to be better for us and better for our bank accounts. So far so good. I disagree as well, hellofresh was a horrible experience, they auto pick things for you if you don’t remember to check it, i called them and told them I cant eat what they pre-selected, they refused to refund stating “they do not do refunds”. The food was mediocre at best, and i’m not a picky person. Horrible customer service, they will not be around for long with that mindset. I haven’t tried HelloFresh, but I’m having trouble understanding why it was their fault that you couldn’t remember to select the meals you wanted. They even have an option to send you email notifications when it’s time to choose your meals. My husband and I got some free meals from Sous Kitchen as a baby shower gift from his coworkers. It’s basically HelloFresh except that everything is frozen, and you buy the meals separately without needing a subscription. You pretty much buy a bunch of whatever looks good on their constantly-changing menu, and then keep it in the freezer as long as you want until you need it. Great for a couple of new parents who might not have time or energy to go out to the store for ingredients. Two problems: It takes so long to thaw that I have to know whether I’m going to need it at least half a day in advance, and since their menu is always changing, I often can’t repeat-purchase something that was especially tasty. I’d say out of the 6-8 options we ordered that we thought sounded good, only two were good enough that we’d want to order them again, and they were gone off the list by the time we thought of it. At this point, I’d use services like HelloFresh more as an inspirational website to give me ideas on what to make for dinner myself, and less to actually order from them and use their ingredients. The price point just still isn’t low enough to justify that. I think for me it would be a good way to try recipes first and see if I like them before going out and investing in all the ingredients. We are currently using Hello Fresh. I like the convience, variety, and balanced nutrition. We make up for the cost by not eating out which is more expensive then the meal kits. Since we are getting a good serving of vegetables with meal kits I don’t buy vegetables anymore that sometimes go to waste. I keep breakfast and lunch simple. I buy less snack food. The greatest advantage for me is knowing I will have a well balanced meal at supper without much effort and time on researching recipes and buying ingredients. We live in a rural area in the north central part of the country. Sometimes off season produce is not available here in my small town and if it is I have to pay a great deal for it. The pro for my husband is getting to try out something different. He is an adventurous foody. To keep food costs down we eat out less and buy the basics for our other meals. Things like yogurt, eggs, cheese, milk, and fruit. These items keep for a long time making it possible for us to eat them before they go bad. We’ve been trying several of these services. The packaging has more than doubled our trash and we don’t like that. However, we are cooking together for the first time in our 35+ year marriage. You cannot put a price tag on that! Additionally, we have far fewer evenings when we say “What’s for dinner?” “I’m too tired to make what I planned. Let’s go out.” Consequently, we’re eating out less, eating healthier, and wasting less food. I just like to pop open a can of Amy’s Soups at night. They are loaded down with things like beans, spinach, extra virgin olive oil, carrots, kale, mushrooms, onions, garlic, bell peppers, tomatoes, quinoa, etc. Along with the soup, I have some whole-grain crackers (ak-mak) and ghee, all washed down with some drinkable yogurt (kefir). That’s an easy din din. 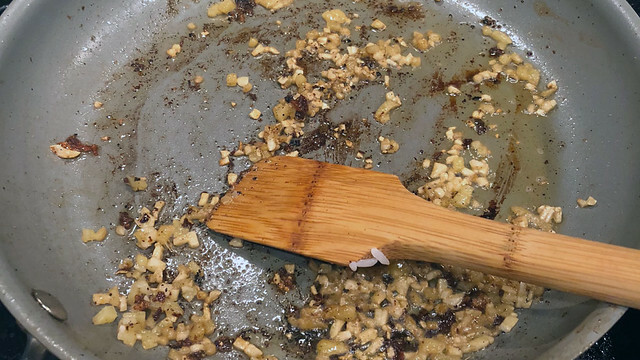 We tried a similar service (Blue Apron) for several months, and found it had its pros and cons. We loved the gourmet flavors of the recipes, and we really like the fact that we didn’t have to go out and buy large containers of items that we wouldn’t use very often (creme fraiche, capers, some fresh herbs). We also had the ingredients there ready to go, and didn’t need to run to the grocery store because we forgot we were out of something. On the negative side of things, we found Blue Apron’s suggested prep times to be rather unattainable — they might be adequate for Gordon Ramsay, but for someone with average home-cook knife skills, you may want to double the listed times. We also found it to be a lot to prepare on week nights, especially when some of the recipes were as high-maintenance as Cooks Illustrated / ATK. Two hours and then a big mess to clean up at the end was too much for nights when both parents worked. Ah, but you must have used a different name or email address…Wordpress made me approve you as a new commenter this time. My wife and I got a trial subscription to one of HelloFresh’s competitors (BlueApron) as a wedding gift. 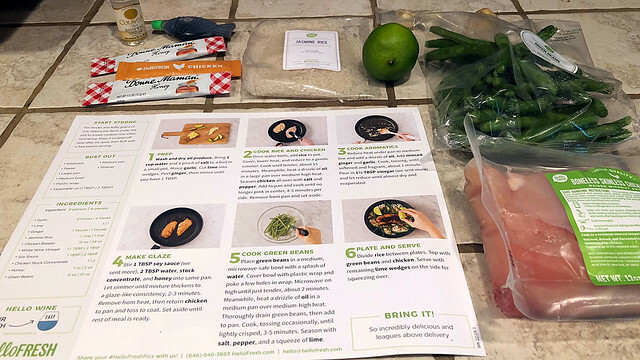 We enjoyed it, and our experience with it pretty much matched your HelloFresh experience. We didn’t subscribe to it, though, since we are able to feed ourselves cheaper from the grocery store. I agree completely with your analysis – I’ve tried basically all of the meal kit services, and I generally find that it’s fun because they encourage me to cook things I normally wouldn’t think to try, but the cost dissuades me from using the service consistently. I only order them when I find deals now. We had HelloFresh for about a year. It was great. The meals were delicious! You can easily choose what they send to you each week, skip weeks if you go on vacation, etc…It was fun to cook together and we were excited about the meals! BUT…the packaging waste was crazy. You have to toss out the gel ice pack, the bubble wrap, the plastic clam shell containers, etc… The only thing I could recycle was the cardboard box it came in and the paper bags. Sometimes in the summer they add in ever more fluffy insulation. Oh, and the dentist gave you this trial because if you sign up, they get free meals….just sayin’! My husband also thought the amount of trash generated was nuts — little bottles and bags and containers and such. He re-froze the gel packs and used them in his golf cooler until they split. I kept the bubble wrap for using at holidays. But this is definitely a consideration — also the carbon footprint of the delivery service (gasoline, etc.). We received four weeks of meals from Blue Apron as a gift when we had our child, and it was an absolute godsend. For one, our newborn never stopped crying, and we would fight each other over who got the kitchen break to prepare/cook the Blue Apron meals. :) Second, it helped us feel more human/adult again at a time when you feel like you are a machine. We loved a few of the meals and liked all the others, but ultimately, when our gift ended, I called to cancel. The poor guy sounded so dejected, but I simply explained that there was no way I could justify X amount every month when we already had the huge added expense of diapers (and, in our case, formula), etc. Sometimes I think I might pick it up again (five years later! ), but when things are tight one month, you can’t get much cheaper than “beans and rice, rice and beans” :) or spaghetti, both of which we have weekly. My meals aren’t particularly inventive at this point in my life, but that’s OK.
Another cookbook recommendation: Dinner A Love Story by Jenny Rosenstrach. Fantastic recipes, terrific backstory and writing. She also has a great blog (and several other cookbooks, all of which I own). 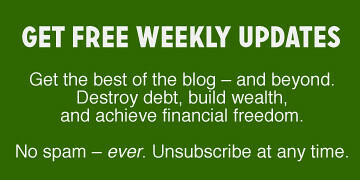 Several websites, including Skinnytaste.com, give their readers a weekly meal plan. Check it out. But that said, if I did want to cook, didn’t like (or want to learn to manage) the other steps involved in the process, and could afford it, I guess this might have appeal. JD, did you grocery costs include – non food items? Is it just the cost of food items purchased for equivalent meals? When I go shopping for groceries – bill includes, food for lunch, cleaning products, cat food, kitty litter etc. Which for our family of six living in Oz comes to around AUD$1,200 per month. I wasn’t sure if you had excluded those sort of items from your grocery costs. The calculated cost was specific to the ingredients needed for the recipe. I think a common thread is people want a dine out meal that is all though out for them and no need to think on what to buy but not at the dine out price. They have answered this need. People are busy and don’t have time to think or plan or are exhausted. They will pay for someone to do that. I for one was taught by my mom how to cook as she loved to cook and I have taken it to a level that is close to being a very good home chef. I love watching the food network and learning from them. I have a good stock of simple receipts and in some instance I will never buy a bottled product. I have a home made teriyaki receipt that uses all fresh ingredients and is a wonderful marinade for steak and chicken. I love being creative and trying new things. The older I get the more ingredients bother me so there are more and more over the counter products that bother me. I will get further and further into making my own fresh stuff not because I have time but for health reason. I don’t need all the sodium, preservatives and flavor enhancers that processor use to make there product. Hello fresh is for the people who don’t have time, or the skills, or the for thought (planning) . I don’t want to call them lazy because hey there was a time that this would have been a good alternative when our two sons were young. It is just not for me right now where I am at. Unfortunately myself and many others were put out of our jobs when they acquired GreenChef… sad that we worked so hard & lost everything. I had vested shares that I paid for & lost them in the acquisition. Hello Fresh didn’t care about us at all. These services represent an opportunity to buy back time – that is where the value is. It allows us to spend less time on cook By and more with our family. That said, I struggle with the amount of waste. We have taken to saving the recipe cards and buying the ingredients. 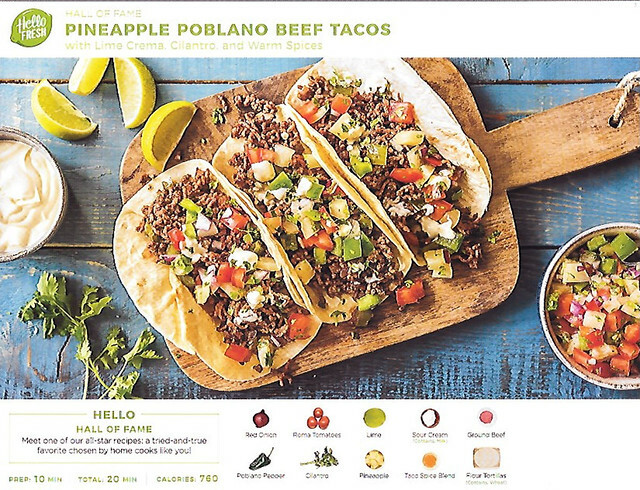 I use bounce between Hello Fresh and Blue Apron, depending on who has better looking meals. I’m trying to eat more vegetarian, and the vegetarian recipes are incredible for learning how to cook for a diet you have no experience with. And I now have a binder full of recipe cards of meals I really love, so I have my own custom cookbook for when I eventually stop with the services. Costco is currently selling $100 worth of BA gift cards for $65 at the Costco website. That really cuts down on the cost. There is also a service called Every Plate that is only $40/week, but it has no vegetarian options. The biggest thing I love about the kits that you didn’t address is the time savings in the grocery. For people with full time jobs that can be something worth paying a little premium for to get the time back. In January we went vegetarian for health reasons, then realized we didn’t have a clue how to cook vegetarian in a way that was sustainable. Green Chef to the rescue. Three meals at 71 dollars per week introduced us to dishes that never would have occurred to us otherwise. We collected two months worth of recipe cards then backed off to one week a month as a treat. There were some stinkers in the lot. Don’t call breaded cauliflower barbecued wings. It just gets your hopes up. Call it breaded cauliflower with barbecue sauce. Overall, yes it was worth it, and made the difference between success and failure in the dietary change. THAT SAID, if I were single I would totally do the two-person, three-meal option. Cook three nights a week. You could easily divide the two-meal amounts into three meals and not starve — that’s almost all your lunches and dinners for the workweek for $60. Buy oatmeal and fruit and yogurt for breakfast. You could eat mostly gourmet food for about $300 a month. I agree. I’m a single student that needs to cook for myself. I’ve already budgeted $100 a week for groceries so I’m thinking that this is probably the best way to go. Although it cost $79 dollars where I am. Interesting take. I haven’t considered these meal services because I already cook every day. This makes more sense if you’re short on time or if you don’t really know how to cook. For me, it’s not worth the price premium. It’s just as easy to look for recipes on YouTube. Great Post! I never considered meal services because of the cost but seeing you break it down it seems worth it. Also, a big plus is the time you save shopping and figuring out what to eat. That time can be spent doing some side hustles to make more money! Great post! Thanks for breaking this down. At the end of the day, if you’re short for time and don’t want the quality of your meals to suffer OR spend tons of money eating out every night, this is a great option. I have tried several of the competitors (Blue Apron, Green Chef, Marley’s Spoon, Sun basket etc) and Hello Fresh is by far the best. Their meal choices are great. I love that I can choose the meals that suit my families preferences. The quality is excellent and I also love that many recipies can be recreated at a later date by purchasing the ingredients myself. With other meal delivery companies they include premade sauces / mixed spices etc that you can never recreate. I would highly recommend Hello Fresh. I had a coupon for $25 off and free shipping for each of two weeks of Hello Fresh. Without that coupon, I never would have tried the service. Without coupons, the meals would work out to $11 per person per meal ($22 for the two of us) and I can cook much cheaper than that. The meals stated they were 30 minutes or less, but the least prep meal was 45 minutes and the most prep meal was almost an hour. Way too much time for a weeknight. I cancelled my subscription after the two weeks. I ended up paying $22 for 4 two-person meals, which was OK. Also, my husband wasn’t too thrilled with the new flavors and would not want to continue the service. We don’t eat out more than a few times a year, so cooking at home is the better way to save money over this meal service. Thanks for sharing this link, John. That’s a great article. My girlfriend and I are currently doing a three-month span with HelloFresh to see if we want to continue for the long-term. We love most of the food and think it’s fun to have a variety of recipes each week. However, as this article points out, there are absolutely issues with the produce now and then. We received an unripe avocado once. We got a slimy onion. Mostly, though, the trouble is with the tomatoes. We’ve received one overripe tomato. We often get underripe tomatoes. And once the tomato simply wasn’t there, which was a bummer because the recipe required the tomato. I didn’t realize there was a way to complain about this stuff. I’ll have to look into it. I like Hello Fresh for one big reason… They give you great ideas for changing up a green been or a potato so at least when you are weary of planning a boring meal a simple addition of balsamic vinegar ( of all things) and baking veggies at high heat in the oven give the meal a whole new flavor. I would like to grab a meal or two ‘whenever’ but ‘remembering’ to ‘skip’ a week can get costly when they send you their choice.. ALSO I am finding more and more selections are $5.94 more per person… $11 more seems steep when you add the $20 it cost.. The meat BETTER be REALLY good but I am too cheap to find that out..